It is time for more of our Anime Review. 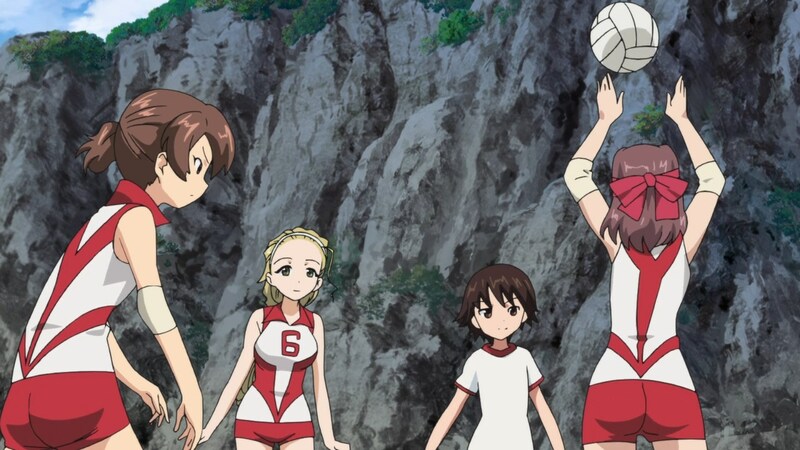 Today, we look at more of Girls Und Panzer, an anime from 2012, which Wikipedia describes as a depiction of tank warfare between girl’s high schools. You can find part 1 of this review here and part 2 here. I give Japan the benefit of the doubt when I assume the content creators there think of this stuff without the aid of highly illegal substances. I would assume that if all the mangaka were popping goofballs all day they’d eventually crank something out that wasn’t centered upon Japanese schoolgirls. After I finish with Girls und Panzer, I’ll move on to Strike Witches, in which schoolgirls from World War 2 take off their pants and fight aliens with little propellers on their legs. Google it if you don’t believe me. So the action in episode 4 starts with an exhibition match against the British team. How do we know they’re British? Because they’re always drinking tea, of course. The battle is held on land this time, outside of an unnamed city. It is mountainous terrain. Heroine and Perky are watching the British look for them through binoculars, and notes that their guns aren’t powerful enough to breach the front armor of the British tanks. She decides they’ll use TACTICS, which is a good choice against the other option of spamming buttons until someone gets kicked like I do when I try to play fighting games. 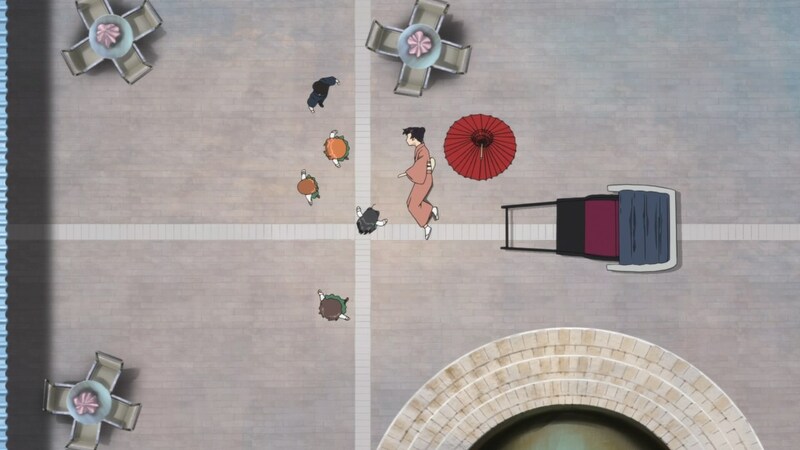 So everyone gets into their tanks and Heroine bounces a shell off the lead British tank to get their attention, leading to tea almost getting spilled. The British give chase, and the result is a pretty enjoyable scene where Heroine’s Panzer flees down a canyon with five tanks that are all shooting at her. The other tanks on Heroine’s team are waiting at the end of the canyon in ambush. They’re basically killing time until told to shoot something. This is not the facial expression or behavior of a mentally healthy individual. Anyway, they all fire, but the British are too wily for then and change direction. They turn. That’s it. One team panics and flees their tank, which is taken out, and another loses its tread. The remaining three flee into the city. 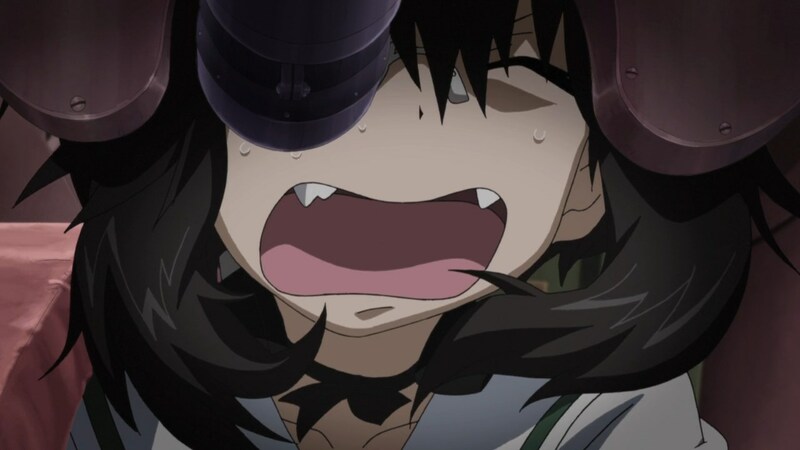 Now, you would think anyone in charge of, or who lived in a city would not want a bunch of schoolgirls running around the place in tanks shooting at each other with live ammo. You would be wrong. The whole city has come to a halt while everyone watches the match on a huge TV screen. At one point a tank understeers and plows into a shop; the owner is thrilled by this, saying it’ll get him a whole new one. This leads to many questions about this world’s economy that I’ll leave to bigger nerds. One of Heroine’s sidekick tanks takes out one of the British ones, but the two remaining Japanese tanks get taken out pretty quickly. So it’s Heroine’s tank against four British tanks. Heroine leads the other squadron on a merry chase and takes out all but the lead tank, which finishes her off. Winner: Tea sippers. The episode switches gears here, with the girls watching their tanks getting hauled away on huge flatbed trucks, then deciding to go explore the city. They don’t get far when DRAMA happens. A man pulling a rickshaw stops in front of them, and he goes to greet Pretty. He’s an intern or something for Pretty’s family, and is hauling her mother around. She greets them all warmly, until Perky lets slip that they’re a tank crew, which causes Pretty’s mother some distress as she sent her daughter to learn to arrange flowers, which is a family tradition. Cut to Pretty’s family’s mansion (arranging flowers must be pretty lucrative) where Pretty has a confrontation with her mother, in which Pretty asserts that being on a tank crew will help her make better flower arrangements, because sure why not. It’s not like she wants to live her own life and find her own way. She just wants to toe the line slightly differently. Her mom replies by telling her to leave the house and never come back. This is all over flower arranging. Pretty takes it well, and tells the rest of the crew her mom will understand once she sees the flower arrangements she’ll make after spending a few months blasting tanks full of schoolgirls. 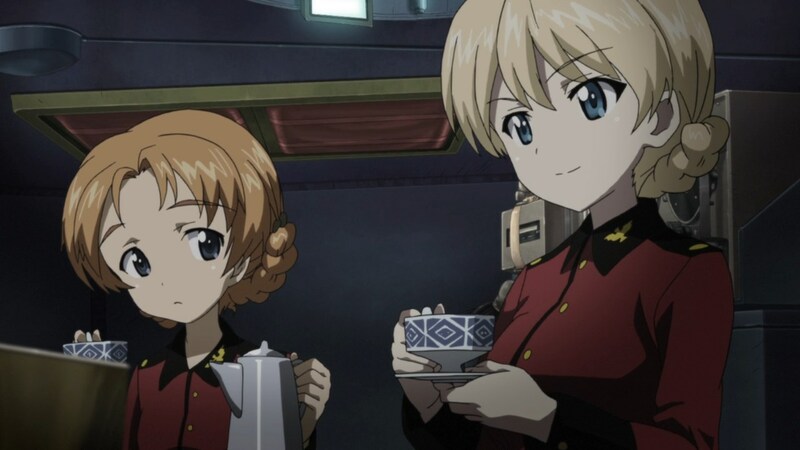 The episode wraps up back on the supercarrier, where Heroine discovers that the British team sent her a tea set, acknowledging them as worthy rivals. Aww. You really don’t want to ask. Previous So You Wanna Be a Ouija Board Master?